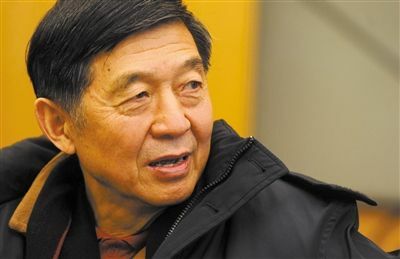 Wu Jianmin, former Chinese ambassador to France, the Netherlands and the United Nations in Geneva, died in a traffic accident in Wuhan yesterday. Wu was also a translator for Mao Zedong and Zhou Enlai and later served as President of Foreign Affairs College--China’s main school for the Foreign Service. Wu was from Jiangsu, and many official accounts list his birthplace as Nanjing, though when asked some years ago, he didn’t refer to himself as a 南京人, and said that he was born in Chongqing. Probably Wu's parents were from Nanjing; apparently they were diplomatic staff members themselves, ultimately relocated to Chongqing as part of the Nationalist government's move there in December 1938; and that was where Wu was born. Nanjing’s South Railway Station, on the other hand, has a continuous video extolling the city’s accomplishments, and claims Wu as one of its favourite sons. Up to a few years ago, following his retirement from the Foreign Affairs College, Wu served as the central government’s unofficial liaison and staunch defender to many in the foreign press corps, sometimes presenting possibilities as forthcoming policy, such as the lifting of the one-child restriction--years before that actually happened. Under President Hu Jintao, Wu was eager to defend China’s foreign policies and was often generous with his time to visiting dignitaries and scholars. While Wu never had the access to policymaking he clearly hoped to have when he returned to Beijing full-time (more on that below), many foreign scholars and commentators nonetheless took him as a conduit to the Hu leadership—which Wu never quite was. However, Wu’s stance changed under the present leadership. He insisted that the new hardline from Beijing was potentially dangerous to China’s interests, creating more adversaries than allies. After years of upholding Chinese policies abroad, Wu became more critical at home, unafraid to debate hawks and saber-rattlers (especially Hu Xijin, the editor of the nationalist tabloid Global Times)--who are far more numerous now than they had been under Hu—in an effort to damp down the growing enthusiasm here for a more muscular and militaristic strategy. As the brilliant Shi Yinhong of Renmin University rightly noted, Wu “had moral courage” to speak out in an environment where criticism is not always warmly welcomed. Wu’s return to Beijing in 2003 to run the Foreign Affairs College (the name in Chinese is 外交学院, though the English name is often intentionally though mistakenly rendered as “China Foreign Affairs University”) was perhaps less successful than some had hoped. The College was a moribund institution, full of students from influential families whose interest in a career abroad was often minimal at best. Faculty at the Foreign Affairs College thought that Wu would come in and reform the curriculum, encourage more research, and start to clean up what many saw as uncommitted and possibly even corrupt departments. Wu apparently saw his mandate differently. For him, diplomacy was language, posture, and presentation. He encouraged students to learn how to act in a diplomatic setting, instead of studying to think like diplomats and strategists. With his extensive contacts in government, Wu was able to bring in a whole host of high-profile speakers--some of them still active in foreign affairs, many more retired. Faculty and students who liked more of a focus on social events than education, on language training instead of policymaking, were pleased with these changes; others, not so much, and more than a few, not at all. Wu also had far less impact on Hu Jintao’s foreign policy than clearly he had anticipated. Chinese government advisers had insisted that Beijing would pivot away from US and focus more on Europe; Wu was expected to be part of the “brain trust” of Hu’s inner circle helping him do that. But neither happened: “Europe” as a monolithic entity didn’t exist to start with, and it was the national security establishment and the military which began to push the Foreign Ministry away from the table and out of the conference room. As Hu’s term wore on, it became increasingly apparent that both politicians and the public wanted a harder line abroad. Interestingly enough, Wu’s impact on Chinese foreign policy grew in retirement, as his commentary began to be more widely disseminated on social media and he actively sought to compel hardliners to defend their positions. Chinese foreign policy was far better for his service and for his continued presence as he dispensed hard-won wisdom and nuance. The days when diplomats like Wu could dominate the foreign policy debates are surely done with. For Wu to hold the line as long as he did took bravery and a belief in a different sort of greatness for China, one where power is built not on bluster, but on dialogue and engagement. 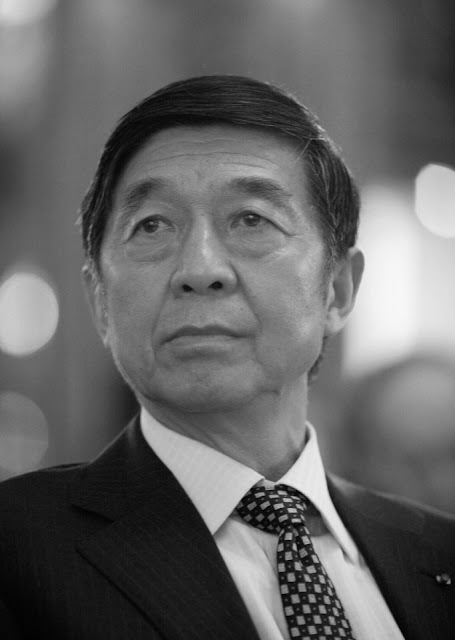 The tragic death of Wu Jianmin marks not only a sad end to a complex and good man, but the passing of an era. Most interesting. Governments are themselves often "foreign" vis-a-vis their diplomats. Vide the current challenge by US State Department personnel to some of the US' Government's policies. While this may occasionally be a form of creative tension, at others it will be confusing, particularly to third parties.